Look for something to be thankful for…. Take some time. Take some real time with family, friends and yourself to focus on the good things in life. Yes, we are faced with many difficulties, maybe even insurmountable. Most of these self-inflicted wounds will take some time to find solutions to get back on track. But, until that happens we must all work together and put our faith in a higher power and hopes in one another to take care of each other. There is hope. There will be another day, despite the darkness this country, your family and business may be going through right now. Foucus on a positive — any positive — and let that be the inner source that drives you to safety. Do not despair. Life marches on and hope can flourish with your spark of faith. 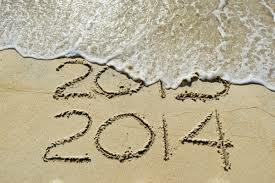 Let me hear from you on your hopes, your solutions, or even fears and let’s work together for resolutions for 2009. This is a forum for you to vent or maybe even share a comment of hope or good will. Either way, let me hear from you. Happy Holidays and best wishes for a brighter future for all of us.